The U.S. Embassy partnered with the African Mosaique Design Center to sponsor the African Mosaique Fashion Incubator Awards, as a gesture of confidence in the participantEight promising Ethiopian fashion designers with outstanding works were selected for the African Mosaique Fashion Incubator Awards. The awards were handed out during the grand opening of the African Mosaique Design Center and Manufacturing Hub on November 30, 2017 in the presence of invited guests. In his remarks at the award giving ceremony held at the Center in Legetafo, U.S. Ambassador to Ethiopia Michael Raynor said: “This event is an amazing showcase for the tremendous potential not only of Ethiopian fashion, but of Ethiopia more generally, and it’s a great example of how we can work together to unlock that potential.”s’ very bright futures in the fashion industry. In cooperation with the African Mosaique, the U.S. Embassy helped to provide coaching to some designers on how to develop a business plan, so that they can take their talents and turn them into a source of income for themselves and, as a source of employment and economic growth for Ethiopia. The two winners – Yonael Marga and Netsanet Addis – will receive brand new sewing machines, sponsored by the U.S. Embassy. They will also have the opportunity to be mentored by established Ethiopian fashion entrepreneurs Sammy Mohammed and Sara Abera! The winners were selected based on the strength of their business models. Participants in the project also learned to think about brand identity, marketing, production challenges, sales and distribution, cash-flow, and financing. 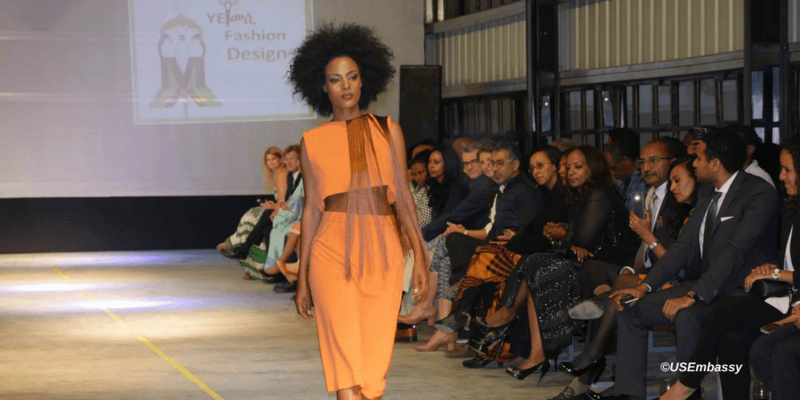 The November 30 Grand Opening will be followed by the launch of the African Mosaique Fashion Festival on Saturday December 2, 2017 at the African Mosaique Design Center and Manufacturing Hub from 10am to 5pm, which is open to the public and features designer shopping, meetings with the incubator designers and mini fashion show. The event also introduces the graduates of the first African Mosaique Incubator program AMFI. African Mosaique celebrates its 20th anniversary since its first collective showcasing in Paris, bringing in a new and exciting chapter for the center. From its new base in Ethiopia, African Mosaique Design Center and Manufacturing Hub will be the first of its kind on the African continent.